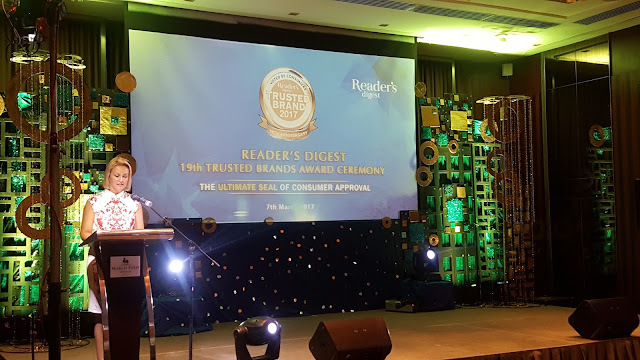 It's the time of the year again when Readers Digest, the famous and one of the longest running publications in the world, awards our most trusted brands. 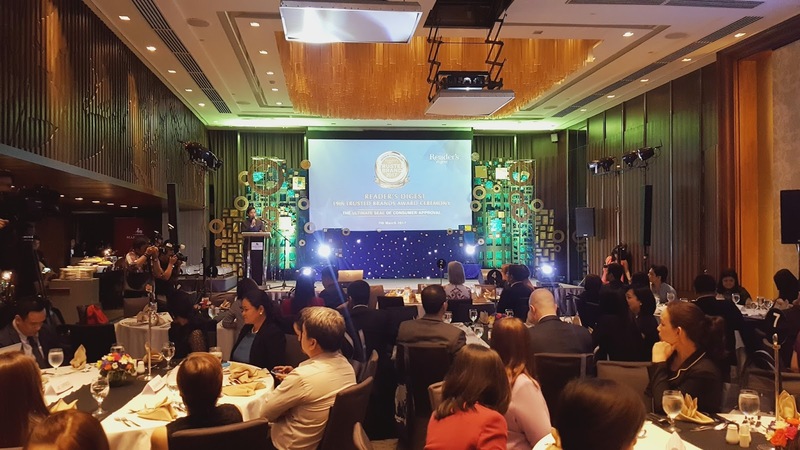 Held yesterday at the Marco Polo Hotel in Ortigas, Pasig, the event was filled with brand representatives and personalities that we all know. 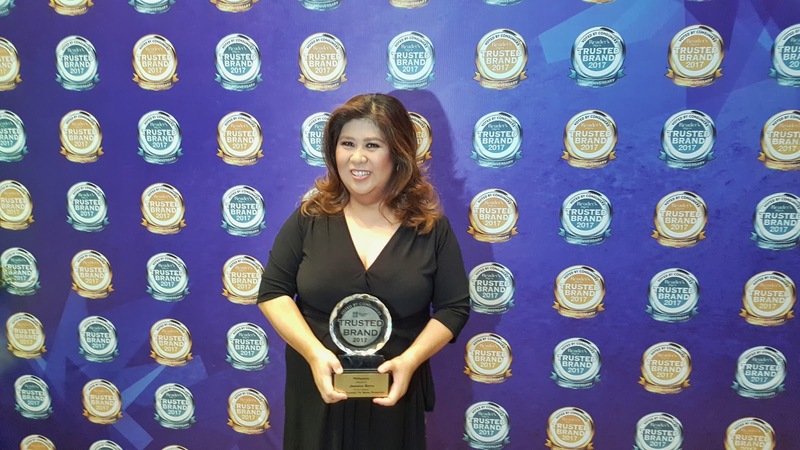 This 2017, the Readers Digest added 6 more categories to reflect the changes in the market and recognize the new brands that have made an impact on the consumers buying habits. 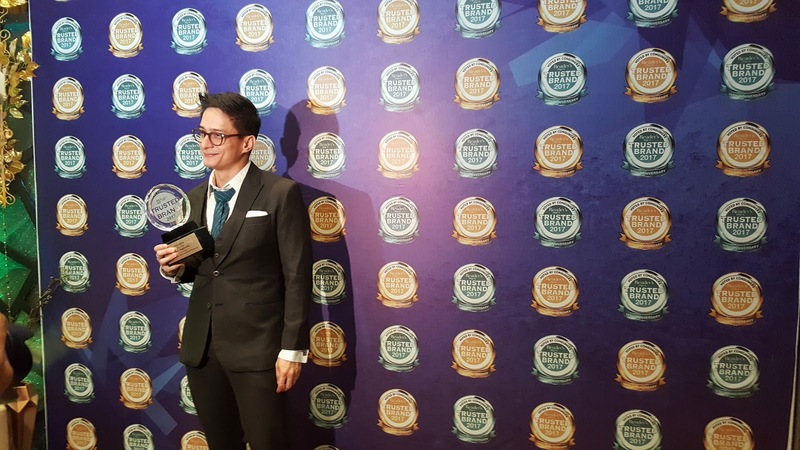 Among the new categories added to the trusted brand awards are Bakery/Pastry Shop, Dog Food, Remittance Center, Pawn Shop, Coffee Shop, and Optical Shop. The Gold award winners include; Acer (Personal Computer); Asian Eye Institute (Eye Center); BDO(Bank); Baguio Oil (Cooking Oil); Bounty Fresh Chicken (Fresh/ Frozen Poultry); Camella Homes (Property Developer); Citibank (Credit Card Issuing Bank); Citibank (Personal Loans); Condura (Air Conditioner); Condura (Refrigerator); Goldilocks (Pastry/ Bakeshop); Insular Life (Life Insurance); Healthway(Ambulatory/ Multi-specialty Clinic); Ideal Vision (Optical Shop); Hi-Precision (Ambulatory/ Multi-specialty Clinic); LBC Express (Remittance Center); Manulife (Investment Fund Company); Panda(Pen); PLDT Home DSL (Broadband Services); San Marino Corned Tuna (Canned Tuna); Sharp (Washing Machine) and Whirlpool (Washing Machine). 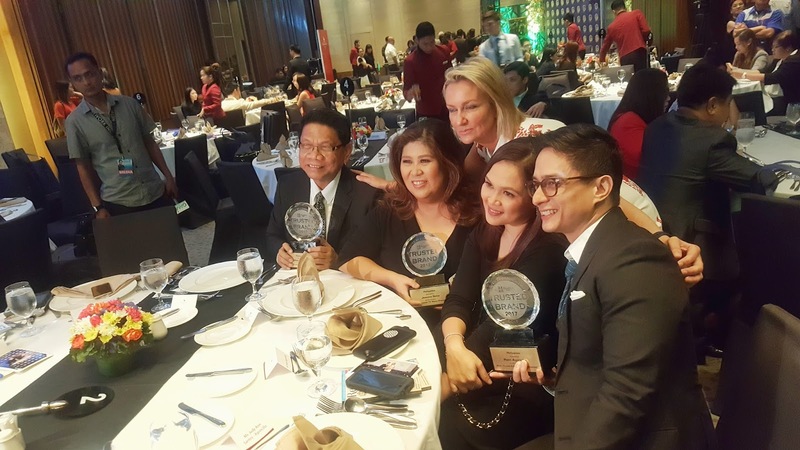 Another highlight of the night was the special awards given to the countries most trusted personalities. For the seventh consecutive year, Jessica Soho was named Most Trusted TV News Presenter. Mike Enriquez received his second Most Trusted Radio Presenter trophy while Ryan Agoncillo was named Most Trusted Entertainment/ Variety Show Presenter. You may check out Readers Digest March 2017 issue for more information about Readers Digest Trusted Brands.